When choosing images for social media, we want them to look picture-perfect, not to have weird cuts, or to get distorted after we upload them. Every social media network requires different image dimensions and different file sizes for the images we upload. 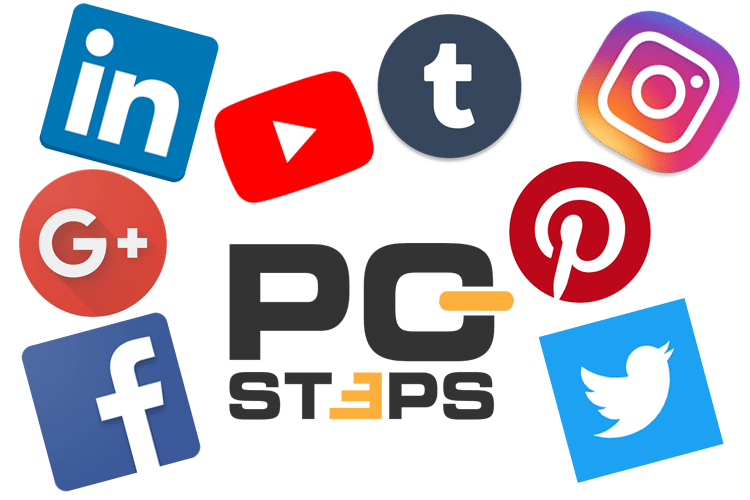 In this extensive guide, we will show you the appropriate image size for all your social media accounts, from Facebook, Instagram, and Twitter, to Google+ and Tumblr. Did you know the ideal image size for every social media use? Firstly, we are going to mention a few basic rules - guidelines for better results. We highly recommend the picture we use online to be in a PNG form, especially if it has text or a logo. Generally, we should avoid placing relevant information in the picture's corners. The best and most compatible video format is MP4, with .h264 coding and AAC sound. It will offer us a much better image and sound quality, combined with a small file size. Most social media sites automatically start playing videos. That is why we should make sure we capture the interest of the viewer during the first few seconds. Since we covered the general rules, we will continue by seeing in detail the ideal image size in pixels, for every social media network and use. First on our list is Facebook, which many use as a way to advertise, get informed, and create groups. We can see our profile image in various parts of the website, as well as in websites that use Facebook plug-ins. The dimensions for the profile image must be 180x180 px. For higher quality, it is better for our image's size to be 320x320 px. On the computer, it shows up as 160x160 px. On smartphones, the size is 128x128 px. In our posts, the size of it is 40x40 px. The profile image covers a 170x144 px part of our page cover. Our profile image on posts is circular, even though in our page it is a square. The cover is only visible οn our wall, but it has large dimensions. 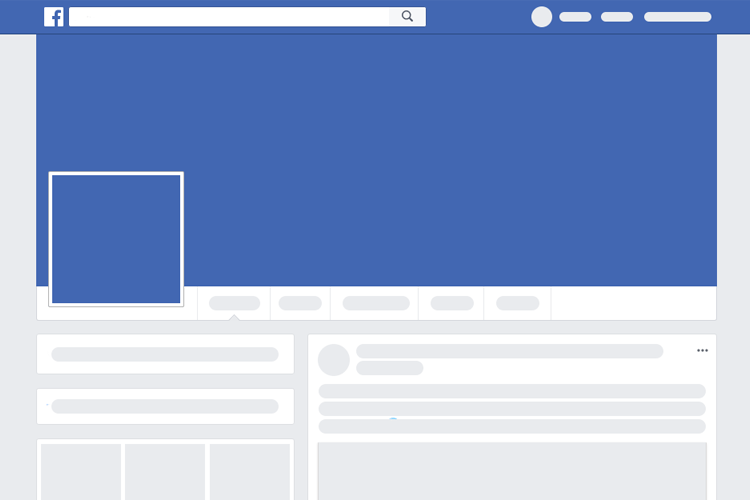 The page cover must be 851x315 px because, according to Facebook, this improves the loading time of our profile. On smartphones, the size of it is 640x360 px. The smaller permissible image size for the page cover is 400x150 px. Every post can include images. These images must meet specific requirements if we want them to show up correctly. - The images on posts should be 1200x630 px. - On the feed, they appear with a maximum width of 470 px and a 1:1 ratio. - On our page, the maximum width is 504 px with a 1:1 ratio. The sharing of any link is usually accompanied by a distinctive photo. 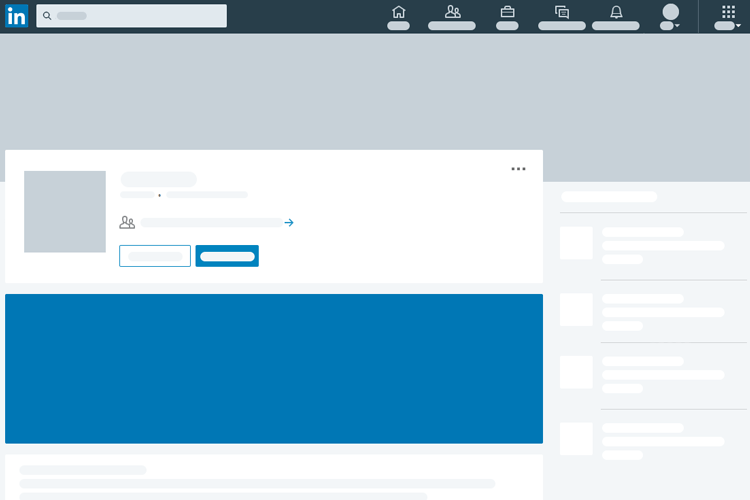 When it comes to link sharing, the image dimensions are 1200x627 px. The smallest dimensions of square images in the feed are 154x154 px, while on our page, that would be 116x116. The rectangular images can be at least 470x246 px in the feed, and 484x252 px on our page. 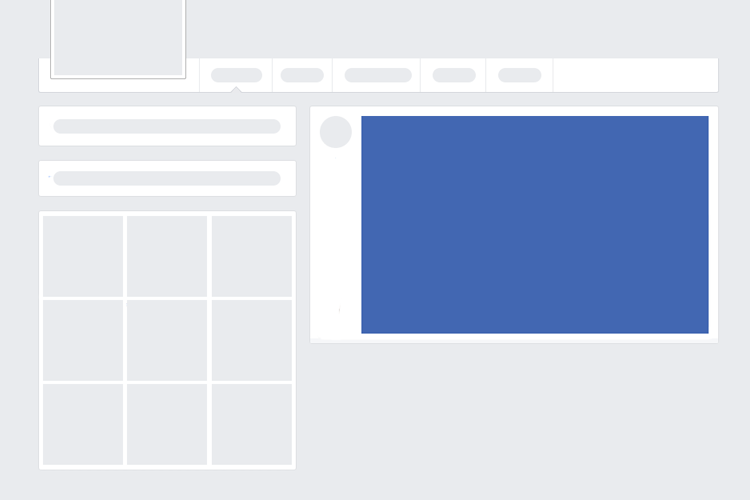 Facebook alters image size to match with the smallest possible. For better results, we should keep their resolutions on these dimensions. On our Facebook page, we can highlight crucial moments. These posts appear at the top of our wall and have a larger size than the rest of the images. - Facebook recommends that the image size should be 1200x717 px. - On our page, these images show up as 843x504 px. - We always choose the highest resolution for better quality. When creating an event on Facebook, we can pick an image to represent it with. The size of an event image should be 1920x1080 px. 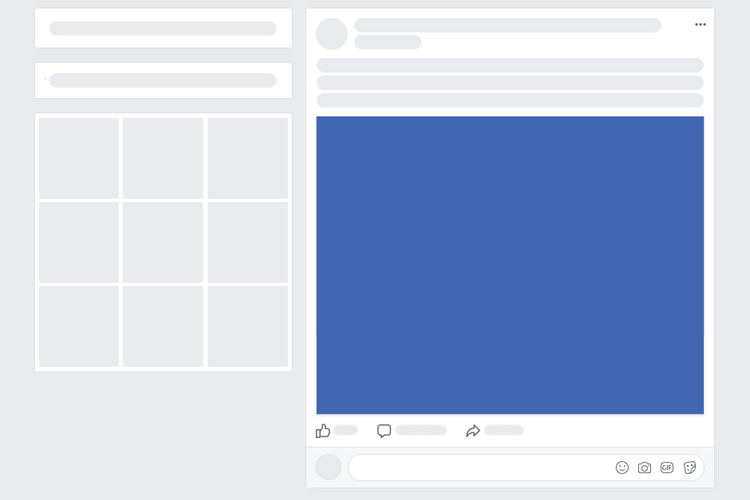 Facebook changes the dimensions to 470x174 px when the image appears on the feed. Facebook accepts videos with a 16: 9 or 9:16 ratio, resolution of up to 1080p, and a file size of up to 4GB. Unfortunately, Facebook has the most complex image system. This is also true for the hosted ads. However, it provides a comprehensive guide to the correct image size for ads, and more. Even though Instagram is all about images, it has a simpler system than that of Facebook. 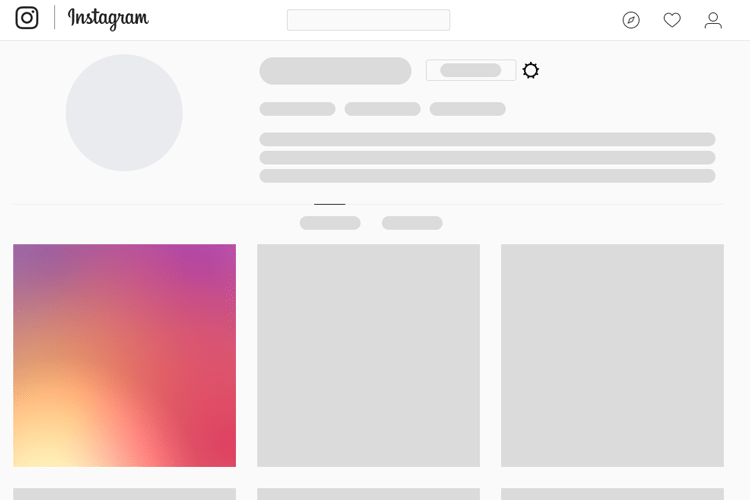 The main rule that we have to follow is maintaining the 1:1 ratio, since most of Instagram's photos are square. Instagram's profile photo appears everywhere in a circular shape, and the image size must be 110x110 px. Photos posted on Instagram have a maximum size of 1080x1080 px. The app reduces the image size to 612x612 px. The photos on the feed are 510x510 px. 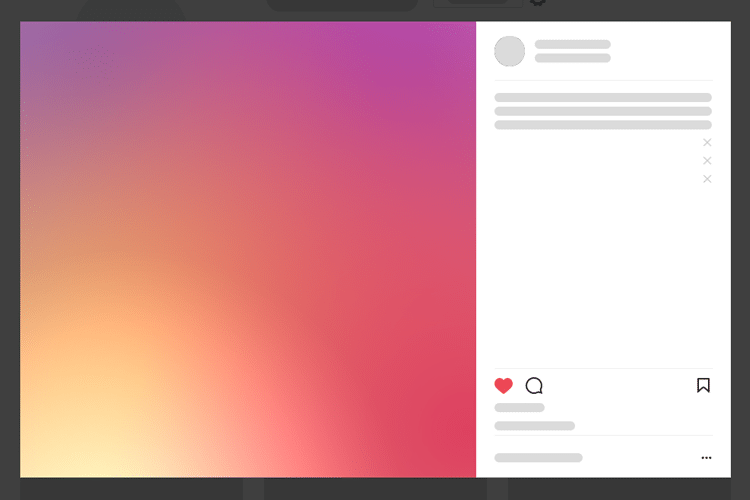 The image size of the thumbnails that appear on our Instagram page is 161x161 px. 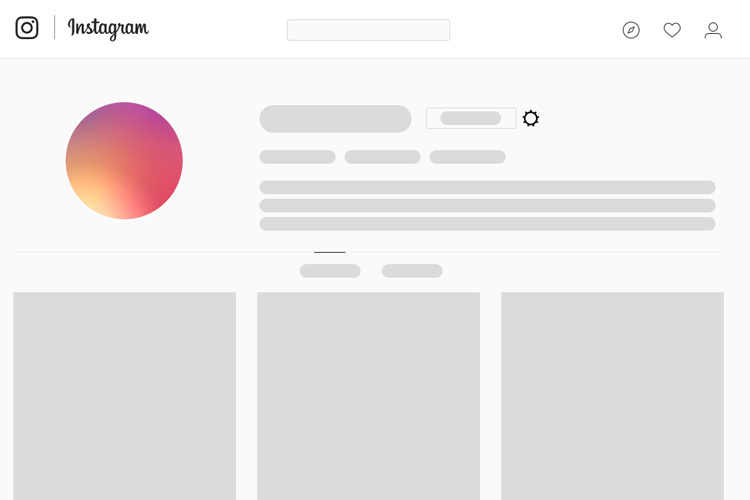 Even if we upload a rectangular photo, Instagram will place it in the center and cut off the edges. On Instagram, we can also upload videos. The video should have a maximum width of 1080, with a duration of up to 60 minutes. The stories page supports maximum image sizes of 1080x1920 px for photos and videos, while IGTV supports videos of up to the same resolution. The smallest dimensions allowed by the app are 600x1067 px with a ratio of 9:16. If we post an image on our stories, it will only appear for five seconds, while a video can last up to 15 seconds, with a maximum size of 1MB. On IGTV, videos last for up to 10 or 60 minutes (if you are verified), with a file size of up to 650MB or 5.4GB. Instagram's advertisements appear on the feed and stories. When we want to advertise on the stories, what we mentioned earlier also applies for the image size. Maximum image size for ads is 1963x1936 px. Dimensions for square ads start from 600x600 px. Rectangular ads with an image size of 600x315 px and above. Image size for vertical rectangular starts from 600x750 px. As with most social networks, Twitter has a profile picture and a main photo at the top of our page. Other than that, image notifications, videos, and ads follow a specific guideline. On Twitter, the profile picture is circular, and this is how we see it on the webpage and app. The image size must be 400x400 px. The file can be up to 2 MB. The compatible image formats are JPG, GIF, and PNG. 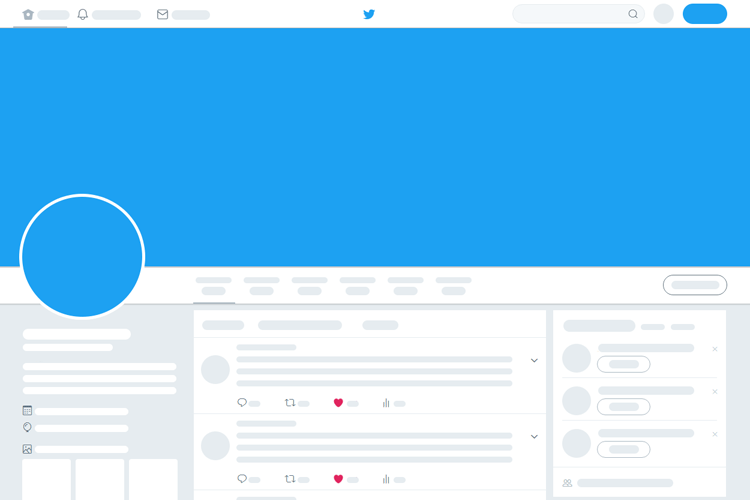 Header image is what Twitter calls the main image, and it is much bigger than it is on other social media. - The suggested header image size is 1500x500 px. - The image changes size while maintaining the ratio. - The max file size is 5 MB. - The acceptable file formats are JPG, GIF, and PNG. 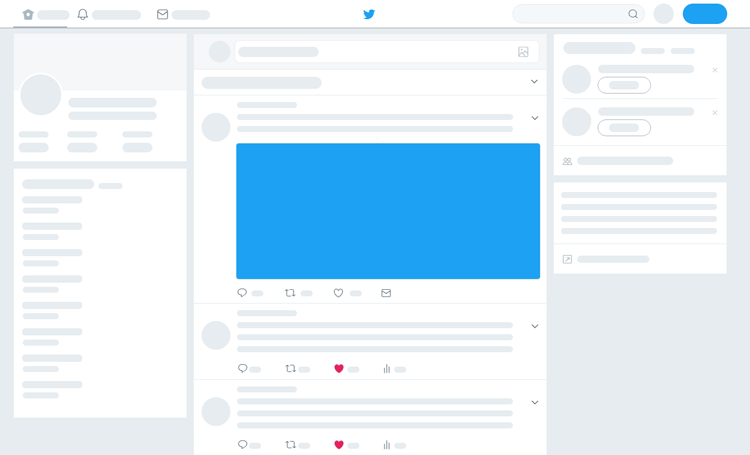 Twitter posts can contain up to four images, which appear in a grid format. The minimum image size is 440x220 px. The maximum dimensions are 1024x512 px. They must follow a 2:1 ratio. The size of the timeline pictures is 506x253 px. We can edit the images through the iOS and Android apps. It supports JPG, GIF, and PNG. The maximum file size is 5 MB for static images, 5 MB for animated GIFs in phones or 15 MB on the web. The videos follow the same rules as the image sizes. Maximum length is 140 seconds. Supported formats: MP4 and MOV. Twitter offers ten different type of ad cards. We can find detailed instruction on this page. Google+ has the most bizarre requirements of all when it comes to the images it hosts. The minimum and suggested image size is 250x250 px. 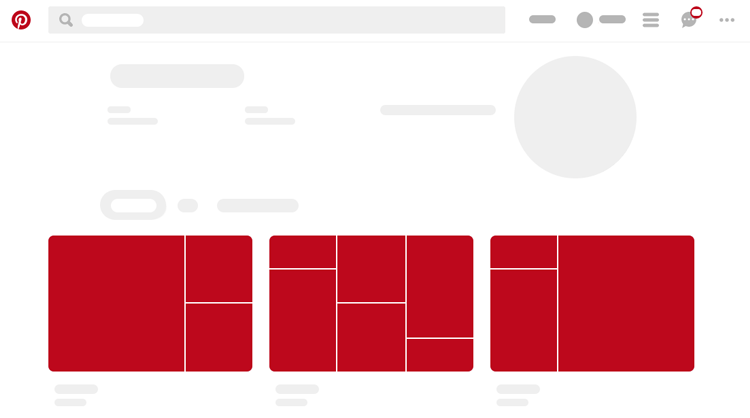 Google suggest using larger pictures. The maximum dimensions are 5200x5300 px. Compatible file types: JPG, GIF, and PNG. If the dimensions of the profile image seem unreasonable, just wait for how bizarre the cover specifications are. The recommended image size is 1080x608 px, which is how Google+ displays the image as well. The minimum dimensions are 480x270 px. Supported file types: JPG, GIF, and PNG. Images are displayed in 426 px in width and 279 px in height. The height changes and can be up to 373 px. Images can have up to 497 px in width. The maximum image size is 2048x2048 px. The thumbnails on posts with links are 150x150 px. On Google+, we can't upload videos. However, we can share links that lead to them. The posts with video links can include an image. This image follows the rules we mentioned above. Youtube is linked with our Google account, and consequently, with our Google+ profile as well. Our Google+ profile photo serves the same role for YouTube, too. 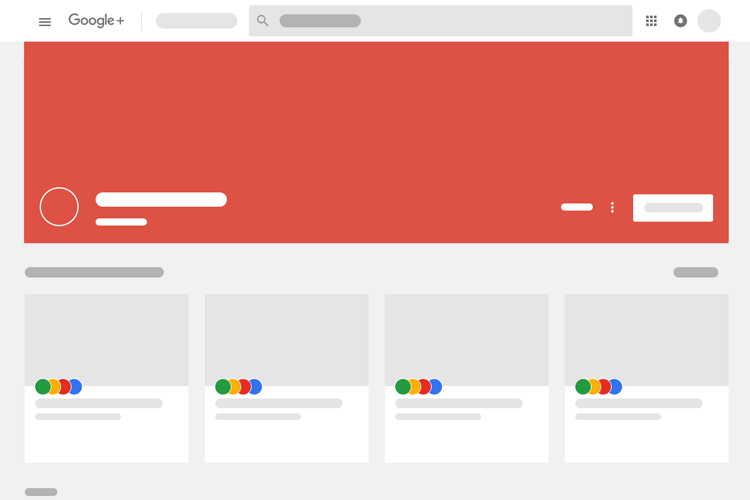 Our channel image can be different from the one in our Google account. That is why we can set a different picture from the settings. The suggested dimensions are 800x800 px. 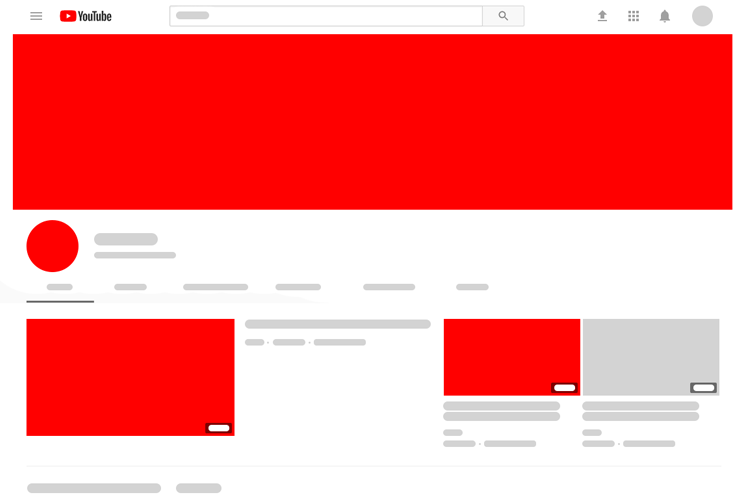 Youtube displays them as 98x98 px. The supported file types are JPG, GIF, BMP, and PNG. The channel cover appears at the top of our Youtube page. The suggested image size is 2560x1440 px. The safe area is 1546x423 px, without the areas covered by our profile image and our custom links. Compatible file types: JPG, GIF, BMP, and PNG. On tablets, Youtube displays it as 1855x423 px. On smartphone screens, its size is 1543x423 px. The image sizes on the TV are 2560x1440 px. The dimensions while browsing from a computer are 2560x423 px, 1546x423 of which is always visible. There is an adjustable area that displays 507 pixels on either side of the safe area. 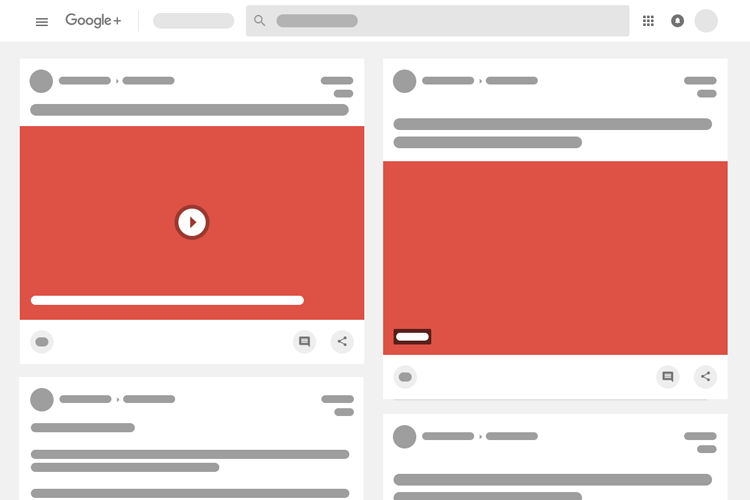 When uploading a video on Youtube, we can either upload a thumbnail or let the site choose a still frame from the video. Videos must have a 16: 9 aspect ratio. The minimum recommended image size is 1280x720 px. LinkedIn is something like a social media for freelancers, and more. There, we can have a personal and a business page. Therefore, we need several images. This is the main image in our personal profile, but it also appears in other places. The suggested image size ranges from 400x400 to 20000x20000 px. LinkedIn is fairly generous. The minimum size is 200x200 px. LinkedIn has a 10MB maximum file size. The supported file types are JPG, GIF, and PNG. Compatible file types: JPG, PNG, and GIF. Minimum / suggested image size: 300x300 px. Minimum size: 300x300 px, which will be resized to 60x60 px. We should note that both pictures should be PNG, JPG, or GIF. Unlike our personal background image, the company cover image covers the entire top of our company's page. The suggested image size is 1536x768 px. 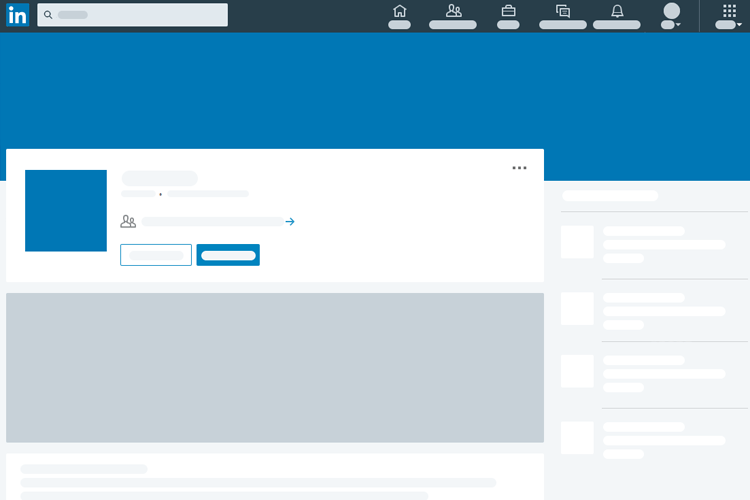 LinkedIn displays it as 1400x425 px. The supported file types are PNG, JPG, and GIF. This image first appears at the company's page content. It is better to use a unique image that will draw the user's attention. Minimum image size is 646x220 px. Supported file types: PNG, JPG, and GIF. This image is useful while searching for employees. The hero image appears on a separate tab, which has the offered career opportunities. The location of the hero image is at the top of the page's content and is larger than anything else. The suggested size is at least 1128x376 px. Pinterest is highly structured in contrast to other social networks. The profile image has two different dimensions based on where it appears. 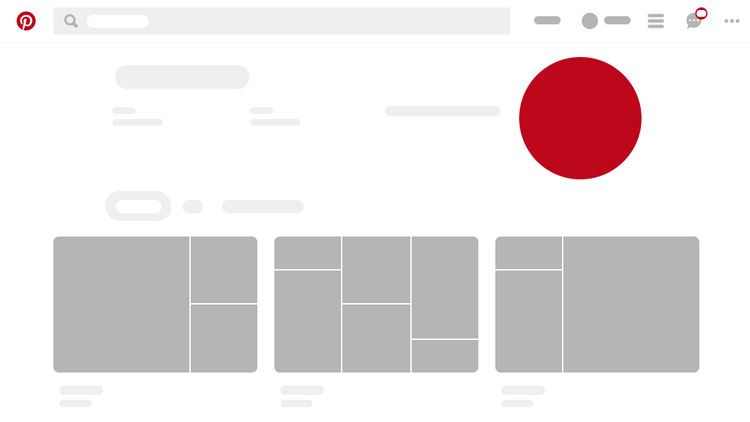 It appears as 165x165 px on the home page. On the rest of Pinterest, the image sizes are 32x32 px. We can't upload images larger than 10MB. Images in JPG and PNG format are accepted. 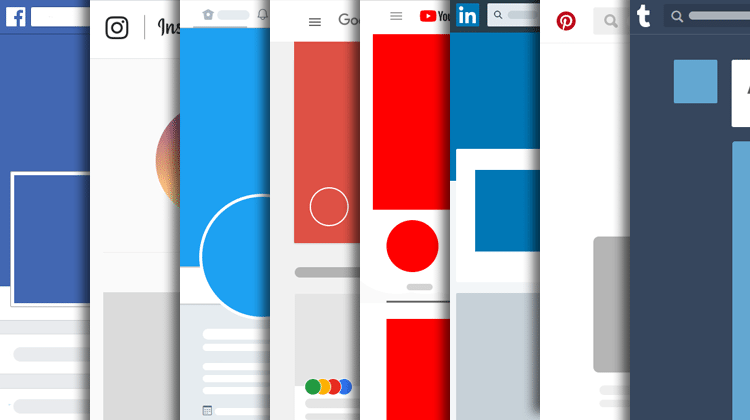 Pinterest's pins appear everywhere with a fixed width of 236 px, while their height is dynamic. Pins may have a width of up to 735 px. 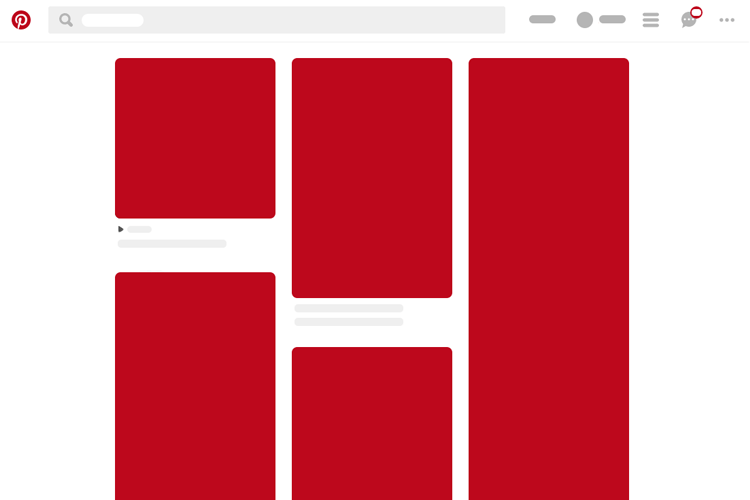 Pinterest recommends using 2:3 or 1:3.5 image ratio. Pinterest creates tables with 6 images. The tables split into three 100x200 px columns. Also, they can split into a 200x200 px and a 100x200 px column. Each strip has one or two 200x200, 100x150, 100x100, or 100x50 px images. We can create promotional pins on Pinterest. The maximum image size is 600x900 px with a 2:3 or 1:3.5 ratio. 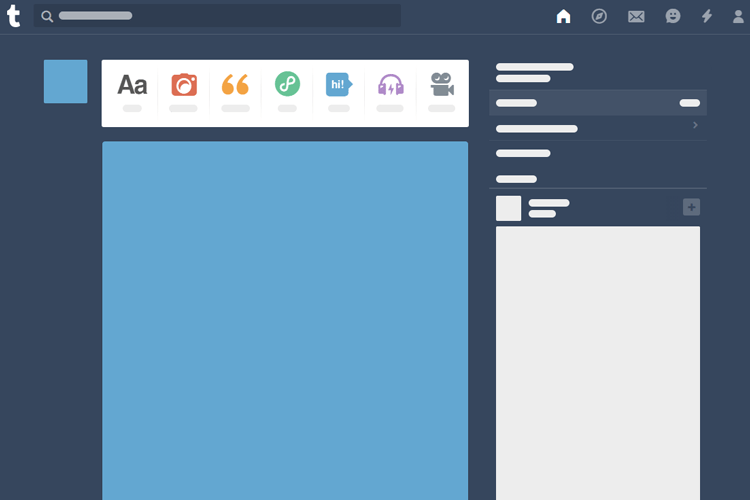 Our profile on Tumblr looks like a big board. However, it follows a few simple rules. The profile picture appears next to our posts as 64x64. The minimum image size is 128x128 px. Supported file types: JPG, GIF, PNG, and BMP. 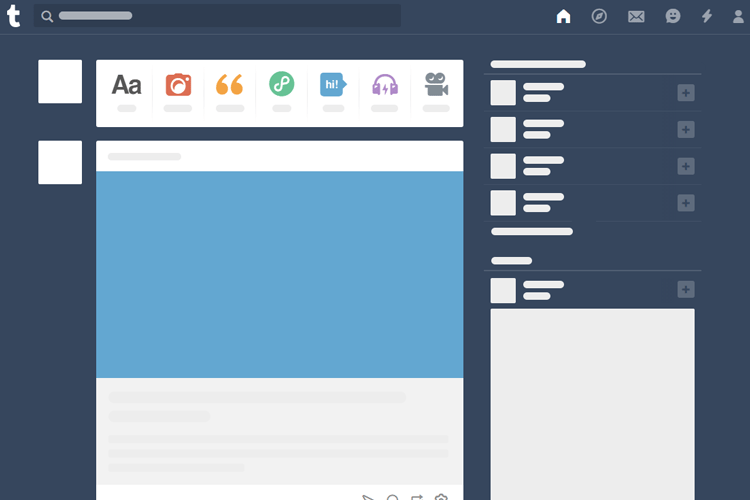 Tumblr displays the published images as 500x750 px, which is the minimum size. The maximum image size is 1280x1920 px. File size for animated GIFs is up to 1MB. Maximum width for GIFs is 500 pixels. Allowed video size of up to 100MB/day. Tumblr displays photo collections with a width of 500 px. The collections can have as many images as we want, and they appear one under the other. The posts that contain links display images with dimensions of 130x130 px. On the other hand, text posts display images with a width of 125 px, that expands when we mouse over. Ads on Tumblr should have a size of 1280x1920 px, and a maximum file size of 10MB. Do you use social media? Did you know of all these image requirements? And if not, have you ever imagined that our proper presence in social media requires so much attention to detail? Feel free to share your questions and impressions with us in the comments below. Previous Post: « Why Sockets Change So Often In An Intel Motherboard? just image is it this medias to? so, any voice sort uploading we can?